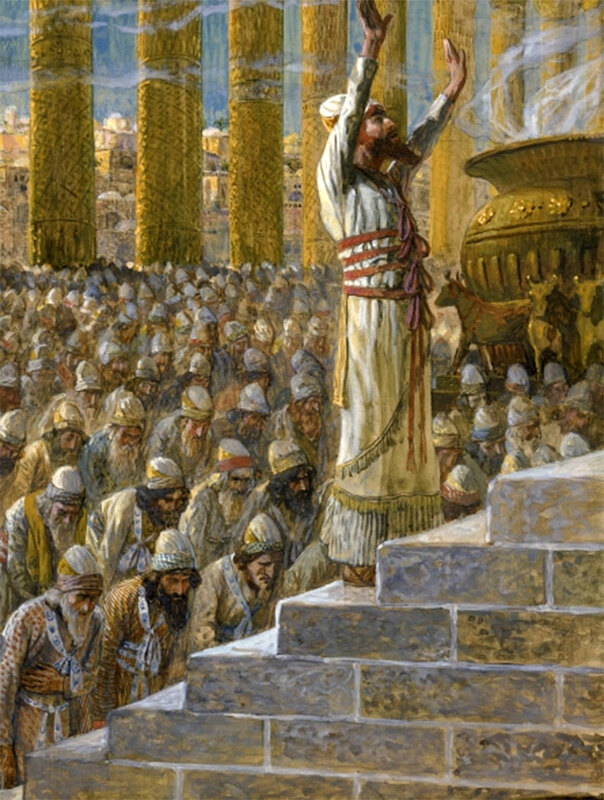 I saw this painting online today, and thought it was a striking representation of the dedication of Solomon’s Temple. It is by French painter James Jacques Joseph Tissot, c. 1896-1902, gouache on board, stored at the Jewish Museum, New York. Liège (Belgium), St. Barhélemy (Bartholomew) - Baptismal font of Renier de Huy (first part of the XIIth century). Author: Jean-Pol Grandmont (Private collection). I came across this interesting artifact while touring through Liège, Belgium, a few years ago. Unfortunately, we were in a rush and could not see it in person, but we spoke with members of the Church there who told us about it and who gave us pamphlets of the city which included it as one of the city’s premiere landmarks. It is a baptismal font that was fashioned by the goldsmith Renier de Huy in the first half of the 12th century and now sits in the Eglise Saint Barhélemy (Church of St. Bartholomew). Originally it was made for the Eglise Notre-Dame-aux-Fonts (Church of Our Lady of the Baptismal Font), and was the only font in Liège where the faithful could be baptized for a time. The moldings which surround the font are all centered on a baptismal theme with five different baptismal scenes, including the baptism of Christ. It is a great example of Mosan or Rheno-mosan art. 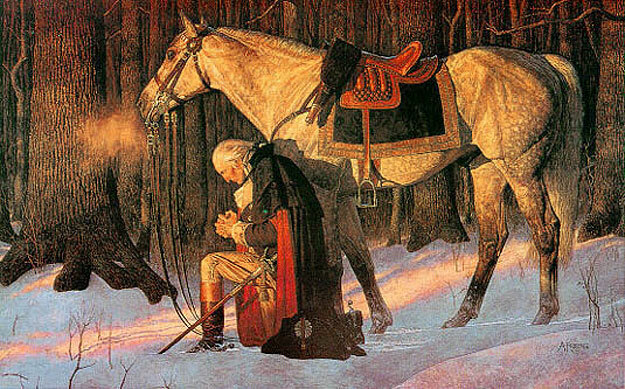 I’m not sure why the commenter chose to select the twelve apostles as the symbolism, as most scholars would probably agree that they represent the twelve tribes of Israel, but it is interesting nonetheless. The members of the Church in Liège consider this landmark as an evidence of the truth of the restoration of the gospel. 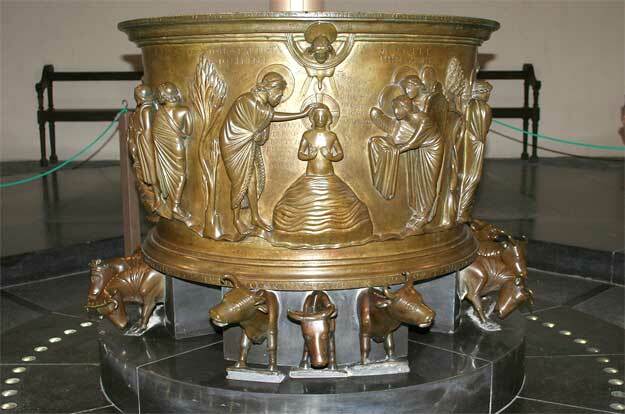 It shows that others did, in fact, baptize in a font upon the backs of twelve oxen, just as the Latter-day Saints do within every temple of the Church throughout the world. Read more here – http://www.trabel.com/luik/liege-baptismalfont.htm.